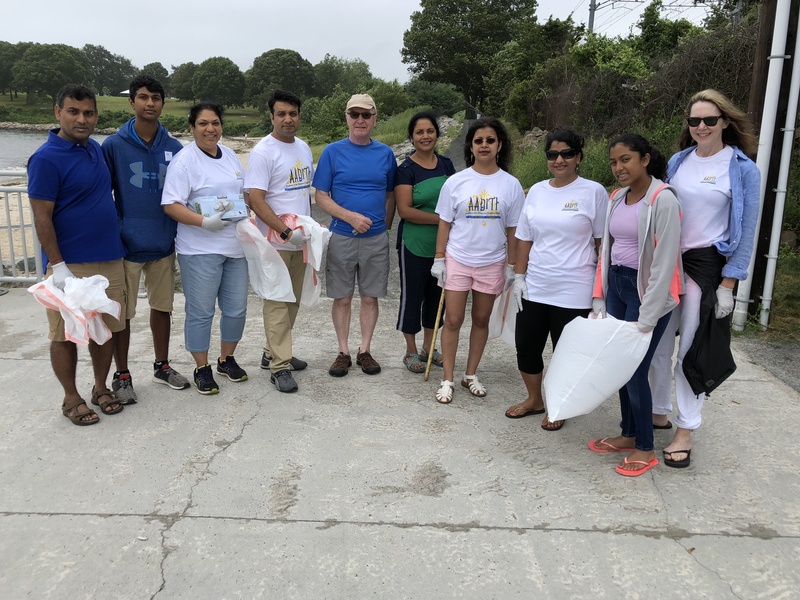 East Lyme, CT – On Sunday, July 22, 2018, members of the AADITI, Inc. group (Academy of Arts, Dance and Traditions of India) participated in a volunteer clean-up session at East Lyme’s McCook Beach. AADITI is a local Indian dance and artistry group that celebrates Indian-American heritage, performs at public and private events throughout Connecticut, and participates in community activities. The group is led by Seema Mukherjee, owner of the Kumon Math & Reading Center on Flanders Road in Niantic. In July 2018, the group coordinated with East Lyme First Selectman Mark Nickerson to perform clean-up activities following the beachside festivities of the Saturday, July 21 “Celebrate East Lyme” festival and fireworks display. On the morning of July 22nd, over thirty ADDITI volunteers worked from 9:00 a.m. to 1:00 p.m. to clean McCook Beach, dispose of trash and recyclables, and restore the beach’s natural beauty. Following their cleanup efforts, the group held a picnic luncheon on the beach. According to Mukherjee, the AADITI group has been invited to showcase Indian dancing at venues across the state and on the national stage. The group will perform on August 11 at the 56th Greater Hartford West Indian Independence Celebration which will be held at Bushnell Park in Hartford. The group will also perform as part of the 2018 India Day Parade in New York City on August 19. Mukherjee said the group is open to anyone interested in learning about Indian dance, culture, tradition, and also to try some Indian cuisine. To learn more about AADITI’s programming and community activities, contact Seema Mukherjee at Aaditict@gmail.com or call (860) 701-8970.